Luddites refers historically to a groups of Englishmen between 1811 - 1816 who destroyed machinery in cotton / wool mills in England because they feared they would lose their jobs due to increased industrialization and technology. In the modern context Luddites are the type of people who hate new technology in general. You might be too young to remember this, but such people complained about electricity lines going up in their neighbourhoods because they thought too much electricity causes headaches and other health problems. If this sounds familiar, it is because the same sort of Luddites now complain about wind turbines in their neighbourhoods - usually accompanied by the phrase "Not In My Backyard", hence the acronym NIMBY. The Luddite objection to wind turbines and the long list of fake health problems is just one way Luddites hold back society from making a smoother transition to a better way of producing electricity. Take for example the typical off-grid home in the far north. Assuming you do want electricity, what source of electricity do you think will be the most cost effective and affordable? Hydro power might seem like a good idea, but it implies you have to build a dam or water mill, which might be legally expensive or require you to purchase land that has a river, and has the added problem that the water might freeze over during the winter. Solar power comes with several downsides. One, it only produces energy during the day and that energy needs to be stored in batteries. Two, solar panels need to be cleaned regularly in order to produce peak energy, which includes removing any snow during the winter. A Gas/Diesel Generator ultimately ends up being expensive when you consider the cost of transporting all the fuel and the cost of the fuel itself. When compared to the long term cost savings of other options, having a generator may seem like the quick and easy way to provide electricity, but over the longer term it is ultimately the most expensive way to get electricity. The notion of conserving energy is going to be used more often when you know you have a limited supply of energy. Knowing they have a diesel generator a typical person will lose track of how much energy they are using, end up running low on fuel, and then having to go buy more when they run out. This cycle of lack of foresight and lack of conservation will lead to a person going overboard on their budget for electricity. When a person knows they are running on wind power + battery storage, they will focus on conserving energy and avoid wastefulness. 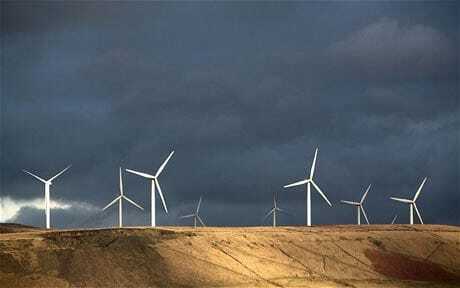 If they know they need more electricity, then adding a 2nd or 3rd wind turbine would be possible to add the necessary extra electricity. Ultimately they will end up with more electricity than they can use and the battery storage will be topped up constantly. When that happens the user will then be able to afford being a little wasteful, with little worry of ever running low on electricity. If you are reading this and still leaning towards a diesel or gas generator, well then you are a Luddite. The type of person who hates computers and cellphones, and other forms of technology. The type of person who was against electricity lines and microwaves back when they first became popular. The type of person who is so mentally stuck in the mud they would never live off grid anyway, because that sounds like "too much work".